India has decided to renew its approval for accepting oil tankers and bulk carriers covered by Iranian insurers for next 6-months, sources said. The six-month extension given to Iranian ships in January this year expires this Friday and India's decision assumes significance particularly in the context of the trouble in Iraq, the second largest source of crude supply to India now. 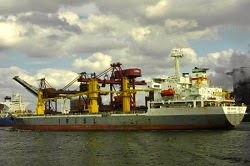 According to an Indian Shipping Ministry insider, the approval is applicable to Iran's Kish and QITA (Qeshm International Trust Alliance) Protection and Indemnity (P&I) clubs. As per rule, vessels without insurance cover from Intentional Group of P&I Clubs are not allowed to call at Indian ports. This is because in the event of any mishap, there is no guarantee that the claims will be settled by the ship's owner. Now, this guarantees the Iranian vessels to cover any potential liability in the event of maritime accidents in Indian waters. Although, the US has relaxed sanctions against Iran, the Europe-based Intentional group of P&I Clubs are yet to take a decision on granting cover to Iranian voyages.